Thousands, if not millions, of people book catered ski holidays to France every year. A catered ski holiday appeals to all types of people, from families to large groups of friends. 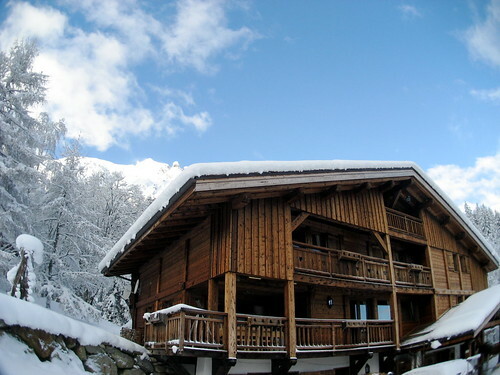 Even celebrities and large companies book their holidays to France with a catered chalet in popular ski resorts. This in-depth guide will give you everything you need to know about catered ski holidays in France including what they are and the best places to visit. What is a catered ski holiday in France? Generally a catered sky holiday will include everything you need for a vacation that is perfect for you and your family. The price will include your flights, accommodation and even your meals within a catered chalet. Depending on your booking provider and the ski resort, you can expect staff to clean your chalet daily and prepare all of your dinner for you. This gives you the freedom to enjoy the slopes without worrying about rushing back to cook dinner! Catered ski holidays in France are extremely popular due to the amount of unique resorts that this European country has to offer. Celebrities absolutely love hitting the slopes in the French Alps, as do the thousands of other tourists that visit every year. There are plenty of different types of entertainment to be found on a catered ski holiday, even if you are not a fan of skiing itself! Restaurants, bars and shopping centres can all be found in ski resorts to keep even the fussiest of holiday maker entertained. Many resorts are also famed for their night-life and other activities including snowboarding, riding around in snowmobiles and even hiking. Catered ski holidays in France appeal to many different types of people, so whether you like skiing or not, this is one vacation you should not miss out on. Top Catered Ski Holiday Resorts in France There are plenty of extremely popular catered ski holiday resorts in France; you will definitely be spoilt for choice when making a decision on where to go. Here are just some of the excellent destinations to consider when booking your ski holiday in France. Val D'Isere – One of the most popular ski resorts in France and also with a wide range of catered ski chalets for small or large groups. You can expect warm hospitality and chilly snow slopes that will keep you occupied for days. There are ski schools for adults and children, as well as plenty of day or night entertainment for everyone to enjoy. Avoriaz – This is the ski resort that definitely has a bit of something for everybody. The wide range of slopes, trails and chutes will appeal to skiing fanatics and beginners alike. Take some time away from the snow by checking out the brand new Aquariaz tropical water park in the resort. Tignes – Tignes is perfect for those who adore their skiing and snowboarding. Plenty of skiing champions have practised and even raced here, making it the hotspot for professional skiers. Those who are not quite adept yet will enjoy the helpful guides and teachers who can raise you from the blue slopes to the black slopes in no time! Courchevel – Last, but not least, is Courchevel in the French Alps. Part of the largest skiing community and resort in the World you will be captivated for weeks on your catered ski holiday here. Take a break from all the skiing and snowboarding for some fine dining experiences that can be found on almost every corner of Courchevel. A catered ski holiday in France can be the perfect getaway for friends, families or even just for some time away on your own! If you are a skiing fanatic then all of the resorts mentioned will ring a bell due to their credibility throughout the skiing world. If you are a beginner and worried about the experience level of these ski resorts then never fear! Every single resort mentioned is full of teachers, schools and guides that will help you become an expert in no time. An article by Nathan Griffiths who loves skiing the slopes of the best ski resorts in France.